As an English student and a bookseller, I spend a lot of time around books. When I wasn't reading textbooks of Romantic poetry or writing essays on post-war British novels, I read the books I've compiled here - my favourites! I've also spent a lot of time leafing through picture books since the opening of our new children's store, La Petite D+Q, and I couldn't enjoy it more. It was tough to pick just a few but I've included some picture books that I loved this year. After feeling like I had spent an eternity in a reading slump, Durga Chew-Bose’s debut collection of essays completely lifted my spirits. She puts such care into every detail of her essays that reading them felt like being hugged. She has an incredible eye for details and carves them out so perfectly that I felt like I could hold each moment in my hands. Jillian Tamaki's collection of short stories is full of emotion, wit, and of course Tamaki's beautiful illustrations. Each story feels so special and delicate that I return to these stories anytime when I'm in need of some comfort reading. Wholly unique and engaging, Tamaki secures her spot as one of my favourite writers and artists. I picked up this book after reading a recommendation from one of my favourite artists, Lisa Hanawalt, on the back cover, and I was not disappointed. Davis' collection of daily sketches is delightfully funny and comforting and I devoured it in one sitting before returning to my favourite pages again and again. I finally got around to reading George Saunders’ first novel a few weeks ago and I was floored. Narrated by a group of eccentric ghosts, the novel jumps off from a historical fact: after the death of his ten year old son, Abraham Lincoln returned to the crypt several times to hold his son’s body. The book had me crying within the first few chapters and laughing mere paragraphs later. I have loved every George Saunders book that I’ve read, but I think this may be my all-time favourite. This graphic memoir follows a young couple as they move from the busy streets of Seoul to the mountainous countryside in an attempt to escape chaos and expenses of the city. They find, however, that their new pastoral life is not exactly what they had imagined. The beauty in the minute details of this book kept me hanging on in a way that I never thought possible. I could read about the couple making dinner, warming their home, gardening, and all the rest of the mundanity of daily life for a thousand more pages. Roxane Gay’s deeply personal memoir chronicles her relationship with her body from childhood, adolescence, and adulthood. Through this she meditates on family, loneliness, and trauma in ways that feel both solely personal but intensely familiar. I usually have a David Sedaris book going at all times. I read a story or two anytime I need a pick-me-up, a palate cleanser, or just a brief moment of escape from it all. Theft By Finding, a collection of his diary entries from 1977 to 2002, is the perfect book for this. This book is a true deep-dive into Sedaris’ career, and full of his incomparable wit. 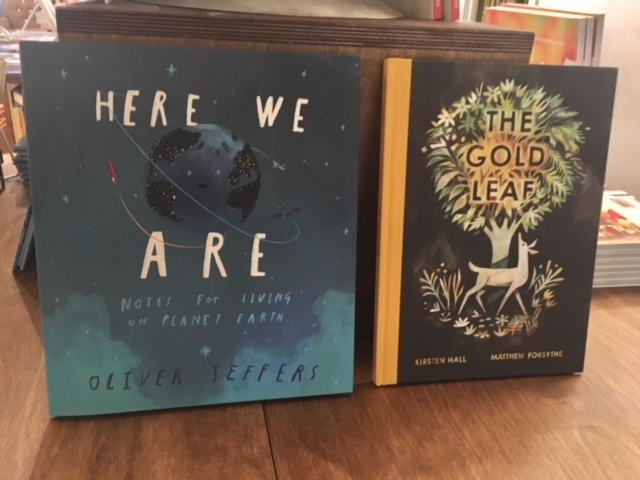 The latest from the wonderful author and illustrator Oliver Jeffers, this beautiful book provides ''notes for living on planet earth''. He tours the entire world, land, sea, and stars in all its beautiful, illustrated glory. In this picture book written by Kristen Hall and beautifully illustrated by Montreal artist Matthew Forsythe, a group of animals chase an elusive gold leaf throughout the forest. Using actual gold leafing technique, this is one of the most gorgeous picture books I’ve read in a long time. Pairs well with the Matthew Forsythe designed wrapping paper available at La Petite D+Q! Each page in this book takes you to a new corner of Montreal. 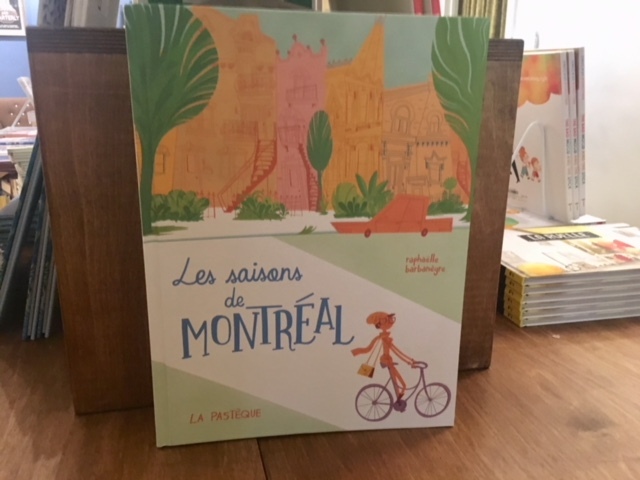 Filled with colour and charm, just like the city, this book makes a perfect gift for anyone visiting Montreal, living in Montreal, or missing Montreal. It makes me eager to get out and explore as much of the city as I can.